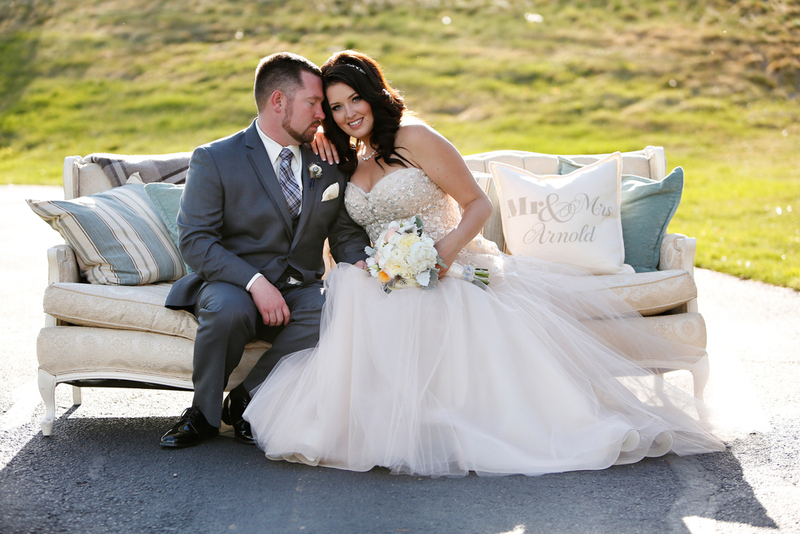 Mandy and Jack's May wedding at the picture-perfect Castle Cliff Estate in Sedalia, Colorado, is styled so beautifully that it could pass for a styled photo shoot - from the lush, colorful setting to that vintage couch, and those ultra glamorous bridesmaids. And Mandy is truly a bride after our own hearts: she chose not one, but two gorgeous gowns for her wedding day! For the ceremony she wore a classic gown by Justin Alexander, and then she changed into a fun and feminine ball gown by Liancarlo, both from Little White Dress Bridal Shop in Denver. Congratulations to Mandy and Jack, and thanks to Volkel Image for sharing their stunning photos!